at the tail end of 2017. However Amazon has repeatedly refused to comment on its agency relationships. Ogilvy Sydney was not available to comment. The TV ad shows two young boys playing with their father when their mother comes home unexpectedly. The boys and their dad race upstairs and jump into bed, telling Amazon's voice assistant Alexa to "begin their night time routine". The ad has also been seen playing on websites such as News.com.au, with the same shot-for-shot video recently being uploaded to Amazon Canada's YouTube account - suggesting the TVC spot is a generic ad used globally, but with different accent voice overs. 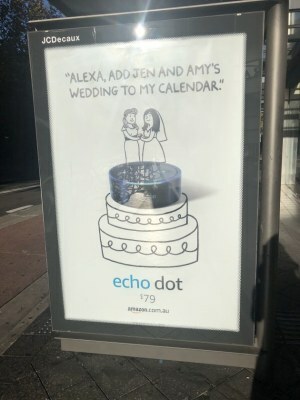 The various outdoor ads promote the Echo Dot product and ask Alexa various questions, like updates on sports scores. Amazon’s arrival in Australia was one of the most hyped events of 2017. Since its arrival, brands have flocked to the platform but consumer response has been mixed. Just this week, Amazon announced it was bringing Prime to Australia. Amazon has released its first Australian ad campaign, with a 30-second TV ad making its debut last week and an outdoor campaign for Echo running across Sydney. 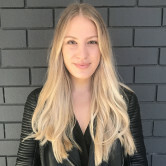 The out of home work is believed to be by Ogilvy Sydney, which was agency tipped to win the account at the tail end of 2017. However Amazon has repeatedly refused to comment on its agency relationships. Ogilvy Sydney was not available to comment. Can Amazon’s sweet streaming dreams come true?